[00:00:17] I don't know, it's cool to see what's out there. Is home, is it the front page? Is it a single page, is it a single page with an ID of 17 or Irish Stew, or is it an array of things? Is it, there are so many different of these, not all of these are appropriate, but certain things like, is it a certain page, or is it the about me page? [00:00:59] We'll see some other stuff later when it comes up of. We could say, is it a specific page template, and we'll create some custom stuff to use it. So, we'll come back to conditionals a little later. It may not apply to you, but it's helpful to know that it's there because there's nothing more painful than trying remove stuff when you can't figure out how to get it off the page and it's your own code. 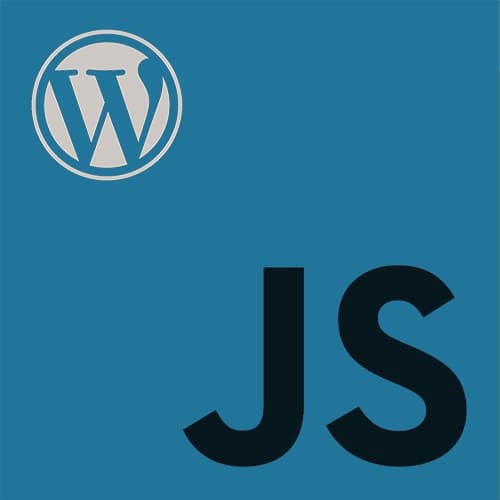 [00:01:47] So, in this case, it's jsforwp-theme-js, and anywhere that's available it will make this available. We can name this whatever we want, but because it's in the global namespace, you don't want to name this something like, well, you probably wouldn't want vars anyway. Like globals, or something that's going to possibly be used by another app and then be overridden, right? >> Zac Gordon: 1.5. Looks like I broke something, sorry, one second. >> Audience Member: Is it maybe not on the complete one? >> Zac Gordon: That's it, thank you sir. Okay, Line 16. Okay, thank you. Okay, 116 is loaded, let's see we should get our site now. [00:03:42] Okay, and now notice, down here in the console, I'll start in the theme.js So in my theme.js I now have access to jsfawrp_vars, again this is exactly what I named in my functions.PHP down here jsfawrp_vars. And then whatever the property is that I set so the site URL and the site name are the two one's. [00:04:10] And then when we load this, we're going to see this data. Again not the original use case but this is how we're gonna pass things like nonsenses and the URL to access the API correctly into our java script and get that. That's probably the most common things we'll be using it for, so For authenticating and for getting dynamic data that we need. [00:04:33] Okay? So that pretty much wraps it up now. I think we fielded about all the questions we have, so if there's any? >> Audience Member: Well, there's one question. >> Zac Gordon: Is there? Okay. >> Audience Member: Yeah, from the chat just looking to see if there's a theme. That uses View that you can think of. [00:04:49] Do you have an example? >> Zac Gordon: Let me come back to that later cuz I'm actually going to, when we get in a little bit further, I have a View demo. And there are some, but I'd have to go back and look them up. There are more React and Angular themes at the moment than there are View. [00:05:08] And there's more instances of people doing small stuff with Vue. I know a good one. Go to xwp.co. >> Zac Gordon: xwp is one of the WordPress VIP shops, and they recently rebuilt their whole site using Vue, so great example.